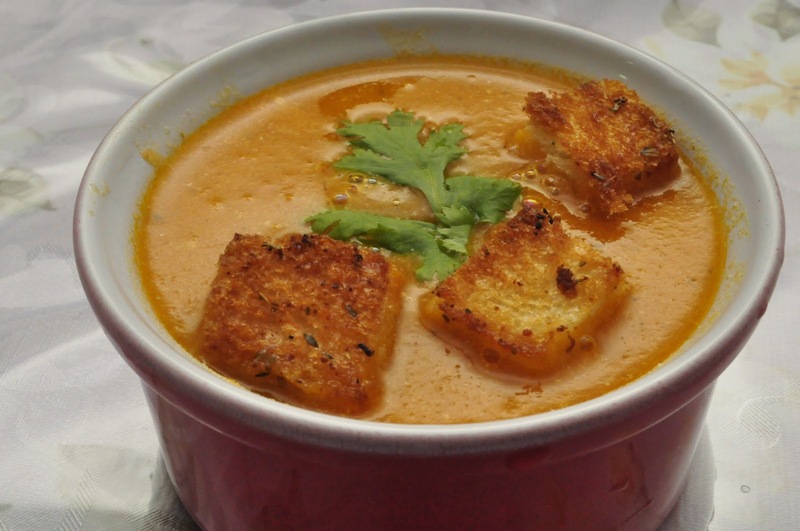 This tomato soup is very creamy, tasty, tangy and mild spicy. 1. In a saucepan, melt butter, add onions and fry until translucent. 2. Add the crushed garlic and black pepper powder. Stir. 3. Add the grated carrot and mix well. Cook for 5 minutes. 4. Add the chopped tomatoes and the green chilli. 5. 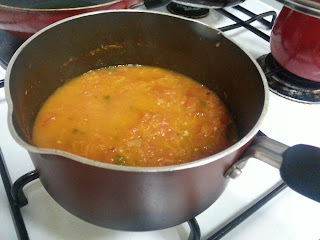 Cook till the tomatoes turn soft and mushy and all the excess moisture has evaporated. 6. Add the stock or water, Coriander leaves and salt. 7. Cover and cook for about 10 minutes on low flame stirring every now and then. 8. Add oregano and mix well. 9. Turn off the flame and allow it to cool. 10. 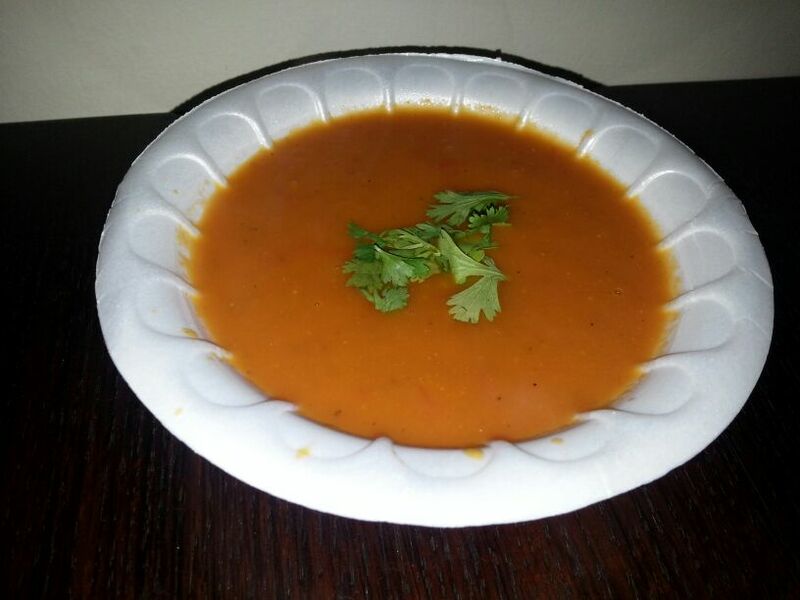 Blend to a smooth puree and return it back to the saucepan. 11. Add sugar and additional water if required to adjust to desired consistency. 12. Turn on the heat again and simmer. 13. Adjust salt and pepper according to taste. 14. Add the cream or milk, give a stir and turn off heat.